Rock ‘n’ Roll Marathon Series: San Antonio Half Marathon! Disclaimer: I received free entry to the 2019 San Antonio Rock ‘n’ Roll Half Marathon as part of being a BibRave Pro. Learn more about becoming a BibRave Pro (ambassador), and check out BibRave.com to review find and write race reviews! This just in!! I’m going to be running the 2019 San Antonio Humana Rock ‘n’ Roll Half Marathon that takes place on December 7 – 8th, woo-HOOOOO!!!!! I’m so excited. I’m so excited!!!!! Why?? I’ve never done a Rock ‘n’ Roll race before. We have family in San Antonio who we haven’t seen for at least five years so Bob will be going with me and maybe my sons, and brother-in-law, making this a family trip! I love San Antonio … the Riverwalk, the Alamo, the Buckhorn Saloon, the sightseeing, EVERYTHING! The city will be decorated for the holidays and hopefully, I’ll have a chance to visit the iconic Light The Way Holiday Festival. I’VE NEVER DONE A ROCK ‘N’ ROLL RACE BEFORE! Want to join me? Registration for this year’s race hasn’t opened yet, but you can sign up for notifications by visiting their website. 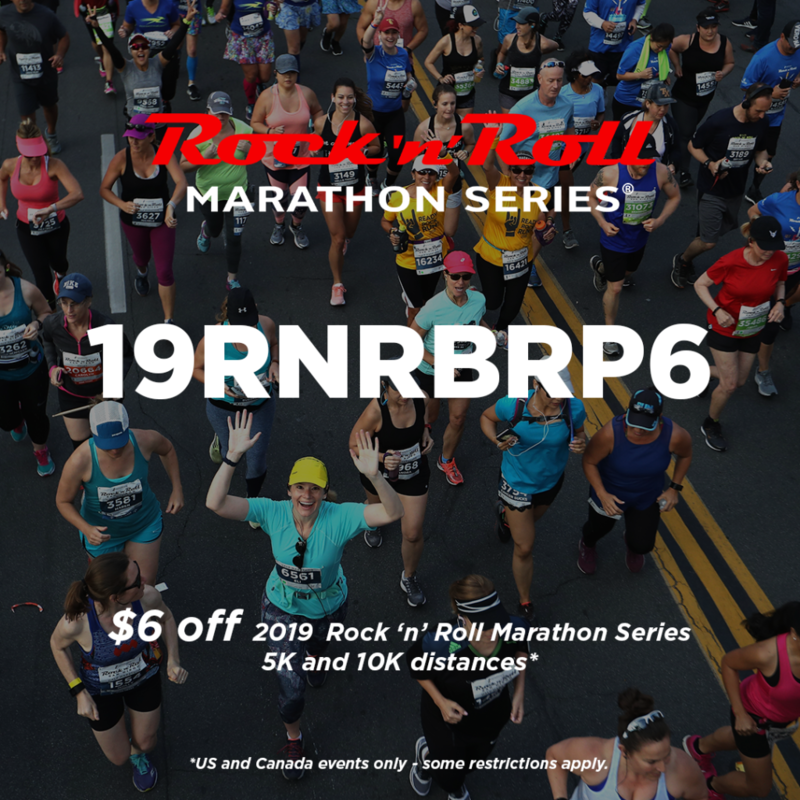 There, you can also learn about the many other Rock ‘n’ Roll Events and you can also check them out on their RunRocknRoll Facebook Page, Twitter feed, and on Instagram! If you’re thinking about doing an event this coming December in San Antonio, I have some discount codes to sweeten the deal! 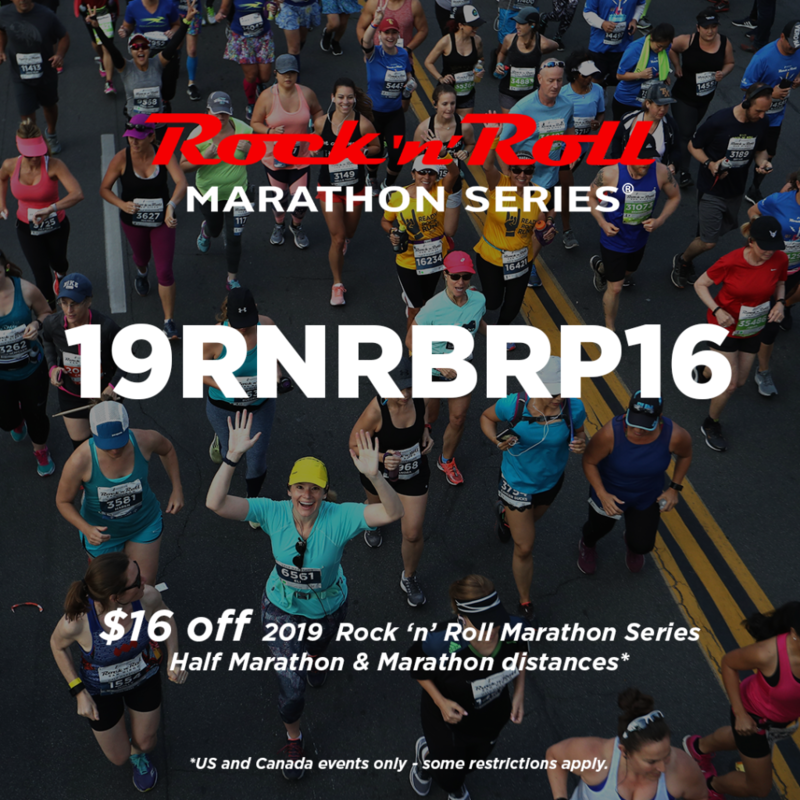 Use 19RNRBRP16 to save $16 off the half/full marathon and19RNRBRP6 to save $6 off the 5k/10k! So now I have some questions for you! Have you ever done a Rock ‘n’ Roll race before? Have any great tips for me? 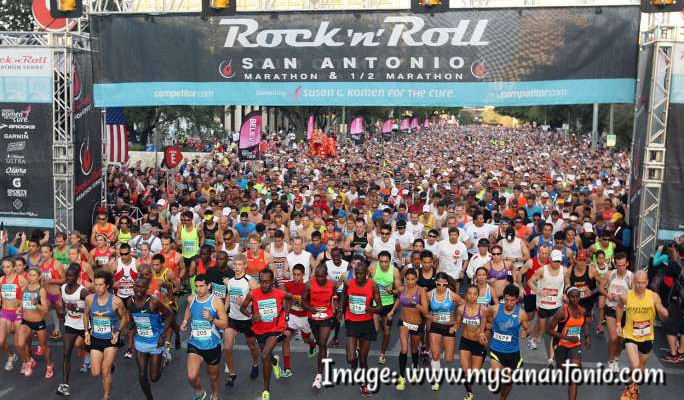 If you’ll be running the 2019 San Antonio Rock ‘n’ Roll 5k, 10k, half marathon or marathon, awesome!!! Look for me … I’ll be rocking my bright orange BibRave Pro colors! And be sure to check out BibRave.com for race reviews submitted by runners and other Pros. Nice, I imagine the New Orleans one will be quite spectacular!! Best of luck and thanks for sharing your thoughts about the Virginia Beach race! I haven’t been there in such a long time. Need to put this on my bucket list! Next post: Do I Really Need a Running Coach? Previous post: February Stories: What I read and watched!